"If we will do so, we shall gain for ourselves personal knowledge that our Father in Heaven truly hears and answers prayers. This knowledge he wants each of us to have. Seek it, my beloved brothers and sisters! 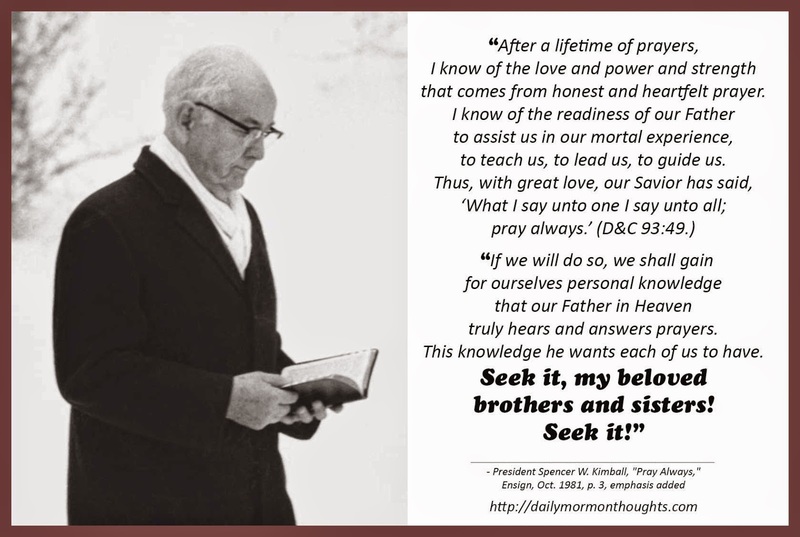 Seek it!" 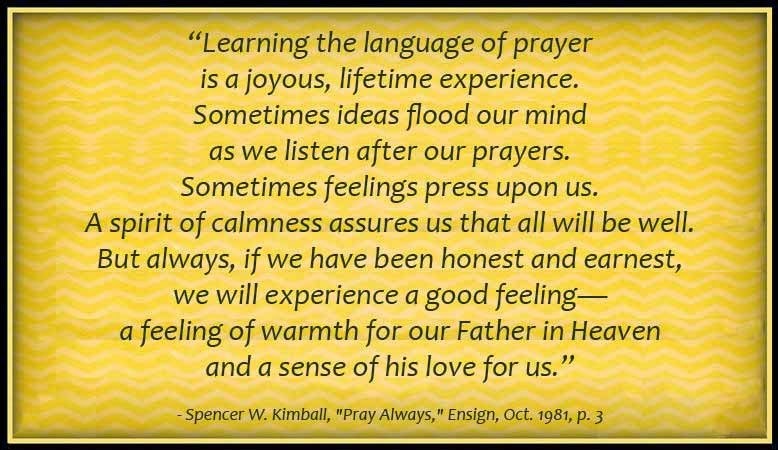 "The language of prayer" President Kimball invites us to learn doesn't refer to the form of speaking or address we use when we speak the prayer. It refers to the way we feel divine communication in our hearts, minds, and spirits. 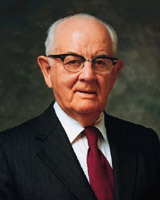 I love the sweetness of the testimony that comes "after a lifetime of prayers" for President Kimball. There is a power in saying "I know..." when there is such deep and prolonged personal experience. The concluding promise is sincere and sure; the invitation for us to seek the gift is heart-felt. This is a man who has precious knowledge and wants others to feel the blessing too.